We’re looking for four people to join FRONTLINE and help us in our ongoing organizational shift toward a post-broadcast world. The Director of Audience Development will manage a small and aggressive team to expand FRONTLINE’s audience and deepen our engagement in both television broadcast and new digital distribution platforms. Applicants should have expertise in traditional public relations work, understand trends in the television business and media landscape, and be able to analyze and act on audience research. They should also be able to lead a team and manage a budget. For more information, or to apply, click here. 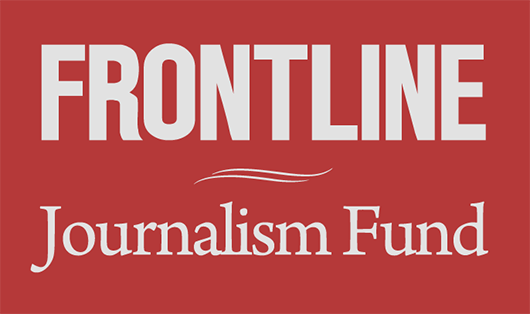 The Digital Reporter will connect FRONTLINE’s body of journalism to the daily digital news audience and expand on our reporting before and after film projects. Applicants should be fast and agile writers able to move fluently between topics and should have investigative reporting experience. They should also have experience engaging other journalists and active audience members in on-site comments and social media. For more information, or to apply, click here. The Digital Designer will be responsible for conceiving and executing the design of all of FRONTLINE’s digital offerings. That includes, but isn’t limited to: film and reporting project branding, editorial interactives, advertising and other editorial promotional materials. Applicants should at minimum have experience with Photoshop and other standard design tools and hands-on knowledge of HTML and CSS. They should also be comfortable working collaboratively across departments within the organization. For more information, or to apply, click here. 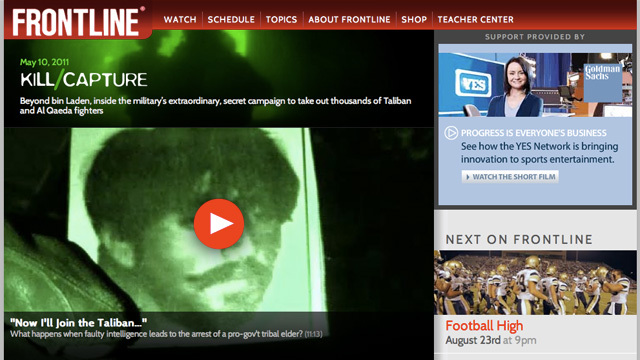 The Research Assistant for Digital will assist the daily production of FRONTLINE’s website and other digital efforts. The work includes, but is not limited to: editorial research, photo research, project administration and coordination with other departments within and outside FRONTLINE. For more information, or to apply, click here. If you or someone you know would be a good fit for one of these positions, we would love to hear from you!